Give your little girl's bedroom a traditional French atmosphere with this gorgeous full panel bed. The piece is bathed in a weathered white finish that allows the decorative moldings and expertly carved panels to shine at their fullest. 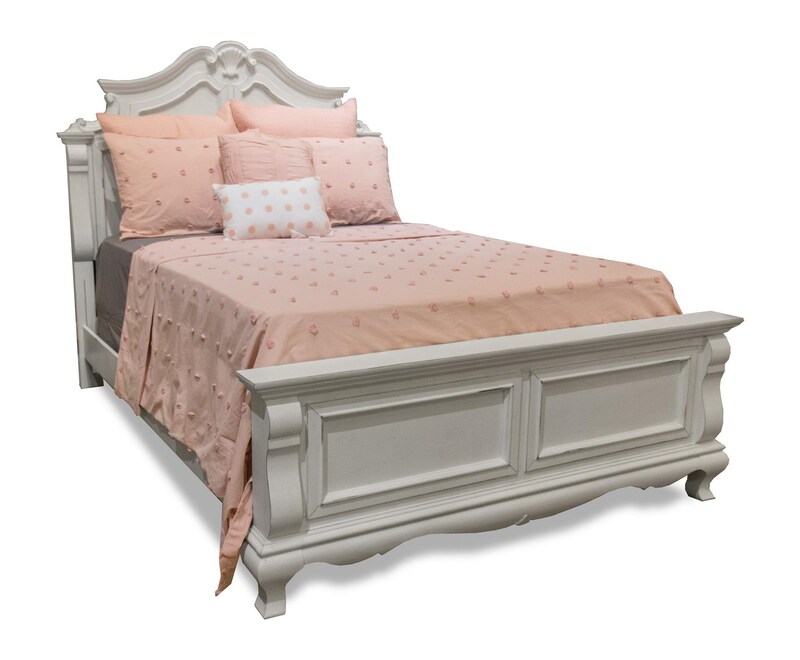 The Chateau Full Panel Bed by Folio 21 at Great American Home Store in the Memphis, TN, Southaven, MS area. Product availability may vary. Contact us for the most current availability on this product. Browse other items in the Chateau collection from Great American Home Store in the Memphis, TN, Southaven, MS area.